A (comparatively) long time ago our society produced printed publications of register transcriptions. Obviously the stocks that we hold go down over the years as items are sold. The source documents for many of these publications are now lost and so it would be very difficult to arrange a reprint, and even if we had the originals printing costs have risen and it might be uneconomic. 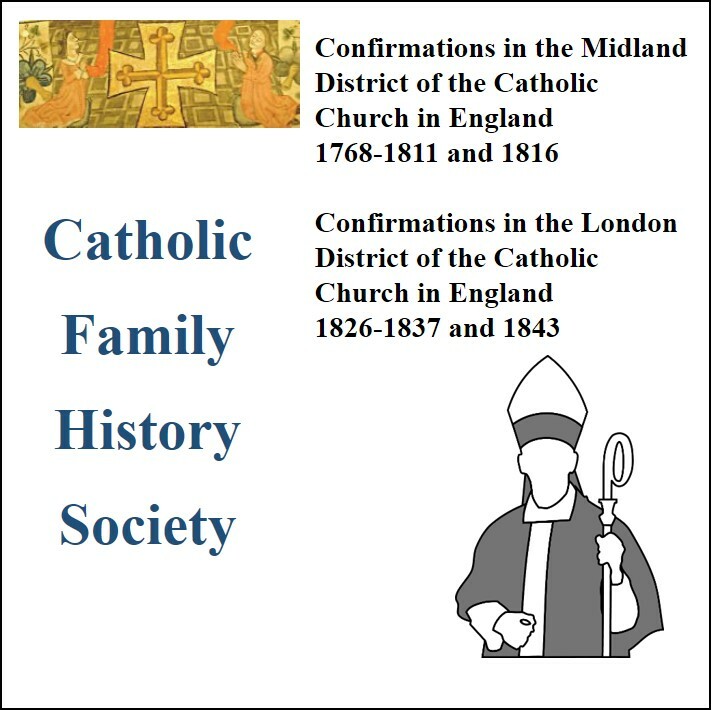 I’ve just completed scanning the Bishops’ Registers as they had gone out of print, and these are now available as PDFs on CD-ROM via GENfair here. Apart from keeping the information available there is an additional benefit for our customers in that we can make both publications available on a single disk at the same price that one of the printed books was sold for. This is a register of over 5,000 people buried at the Bedlam Burial Ground at Liverpool Street in the City of London in the 16th and 17th centuries. Thanks to the British GENES blog for bringing this to my attention. Meet 6.30pm (after 5.30pm Mass) on the steps of Westminster Cathedral. Walk to Westminster Abbey and Houses of Parliament. Meet 6.30pm (after 5.30pm Mass) on the steps of Westminster Cathedral. Walk down to the river and the south bank. The “Two Cathedrals” Procession of the Blessed Sacrament through London. Starts 1.00pm for 1.30pm departure from WESTMINSTER CATHEDRAL, and finishes with Benediction at St Georges Cathedral, Southwark. COME AND WITNESS TO THE FAITH IN LONDON. The procession crosses the Thames at Lambeth Bridge, making a splendid sight with Parliament in the background – come and be part of it all! Meet 3.00pm by the door of St Georges Cathedral, Southwark. (Nearest tube: Lambeth North or Waterloo) for tour of Cathedral. Meet 5.30pm Precious Blood Church, O’Meara St: (Nearest tube: London Bridge) a walk to the Tower of London. Westminster Cathedral Hall, all day from 10.00am TOWARDS ADVENT Festival, with stalls and displays from Catholic organisations from across Britain. Opening Ceremony 10.30am with Mgr Keith Newton of the Ordinariate of Our Lady of Walsingham,. Admission FREE. Meet 5.30pm at THE MONUMENT, London EC1 (Nearest tube: Monument) walk to Precious Blood Church, London Bridge for Evensong and Mass. The Catholic History Walks will be led by Joanna Bogle. Wear comfortable shoes and suitable clothing – we’ll be walking whatever the weather. This blog entry from The Jacobite Intelligencer has some interesting details and photographs, well worth a look.